What does he mean by this? Over the last few years, the News Feed has been taken over by brand engagement and businesses sharing content - some good, some bad. Now, Facebook is going to show people more of what matters to them, and more of why they are on Facebook: posts from friends, family, and groups they’ve purposefully joined. Facebook has already done this, back in 2014 when Facebook announced that “Organic reach is declining” and they became a pay-to-play system. If you are putting out content without a budget behind it, these further changes will continue to hurt your reach. BUT if you are putting out good content and supporting it with an advertising budget, we don’t think the changes will have much of an impact for you. 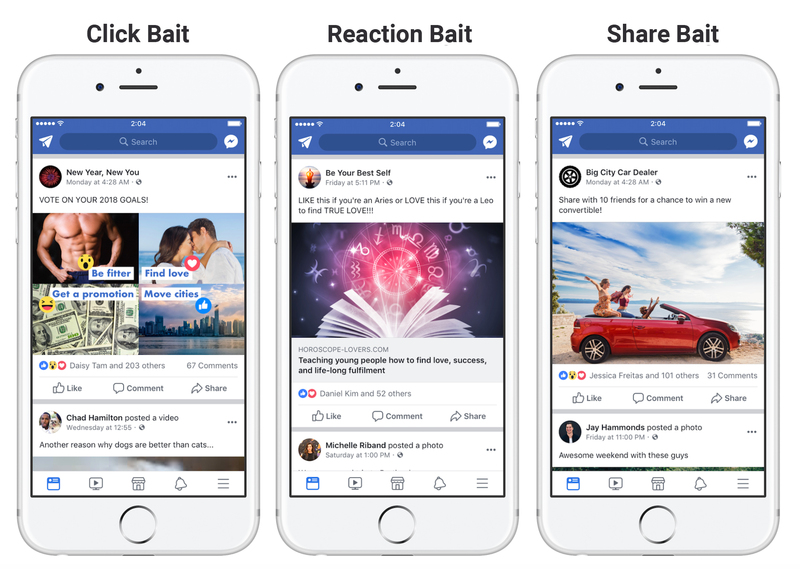 Facebook is deprioritizing posts and pages with click (or engagement) bait. Posts that include things like “Leave a comment below” or “Like if you think X,” will be deprioritized in your audience’s news feed. As time goes on, repeat offenders will see their pages hurt more and more. If this kind of content is part of your strategy, it’s time to evolve. You’ve probably heard a lot about Facebook Live recently - as Facebook continues to become a major player in video content, they’re doing everything they can to prioritize live video on their platform. 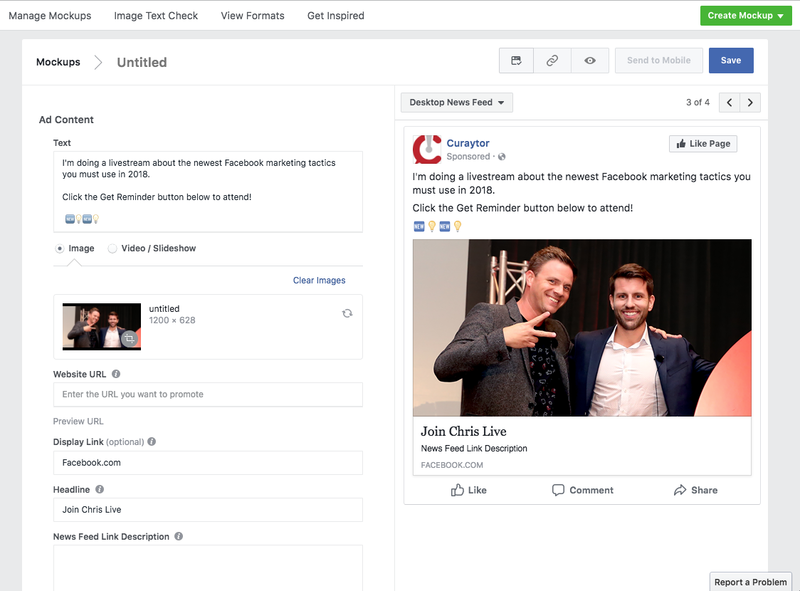 But if you’re wondering what Facebook Live can do, there are a few answers… and one interesting tool to help you find interesting content and maybe even form some partnerships. Take a look at the Facebook Live Map. 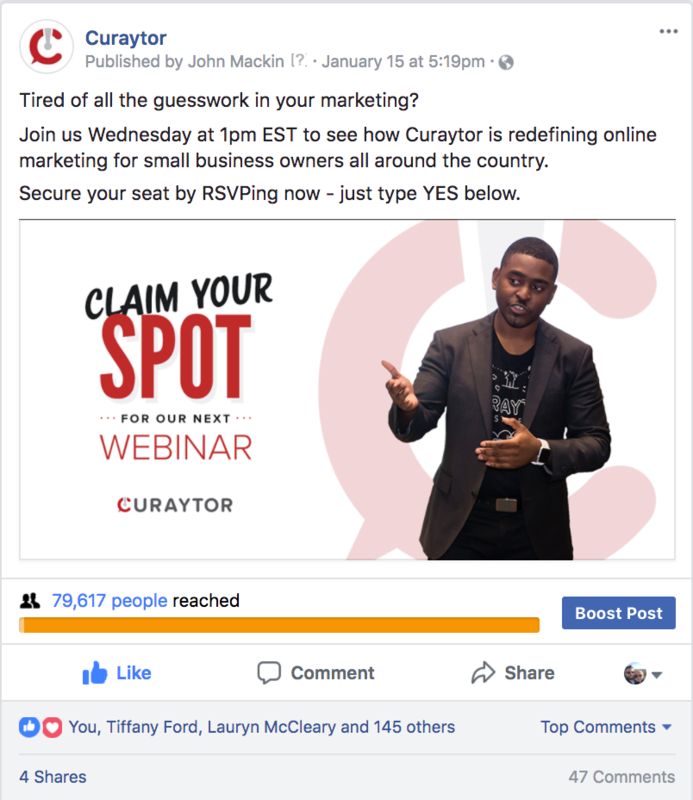 It’s a great way to discover other people who are live on Facebook right now - you can learn what to do, what not to do, and maybe even connect with local influencers who already have an audience as you build yours. By the end of 2018 many people will have Facebook Live figured out. Get out ahead of the pack now - it’ll be worth it. Don’t whiff on a huge opportunity to show off more of your personality with a lame cover pic - let a dynamic video greet your page’s visitors. Pro tip: Have the video start fast, don’t do a slow fade in - someone might not even notice it’s moving by the time they scroll past it. Snapchat pioneered stories and Instagram stole the idea. Stories give your fans quick highlights of what is going on behind the scenes. Stories are personal and require zero post-production, what’s not to love? Don’t assume that all your fans know about every single thing you do on Facebook. 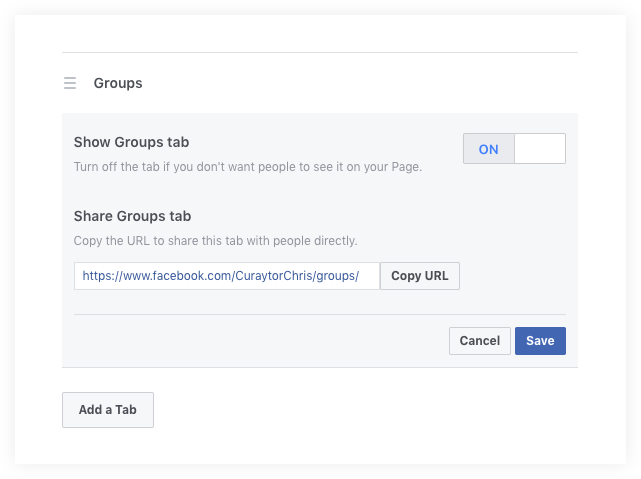 By connecting your Facebook page to groups you’re an admin of, you’ll add links to those groups to your page. This will give your groups greater visibility and give your fans a new way to connect with you (and each other) online. Pro tip: You can also tag Facebook groups in comment sections and post to quickly let people know what is going on. Getting a conversation started with potential clients has never been easier. When someone clicks on “Send Message” Facebook messenger opens up right away for them to start a conversation with you. Getting someone to click “Send Message” is a big deal - but it’s not where the journey ends. 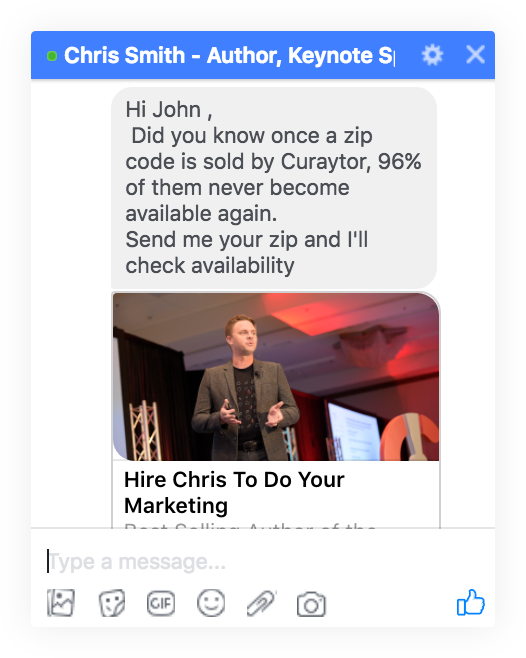 Facebook has made it easier to follow up with leads who have reacted to a “Send Message” ad by personalizing more Facebook Messages to them later. A great time to run ads is when people are paying attention, and people go into messenger to engage. 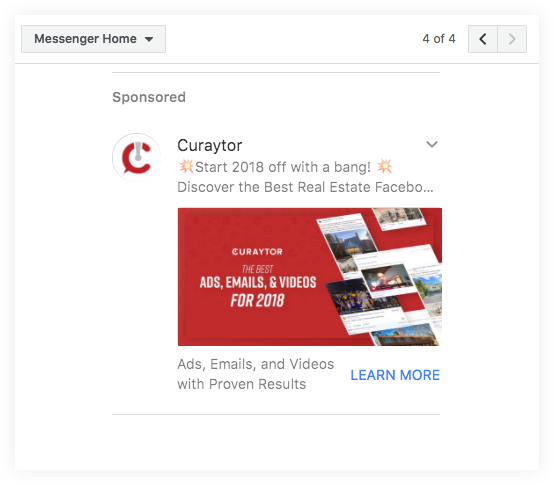 Now with the Facebook Messenger placement option, you can run sponsored messages to people you do not know. It’s important to know that this will appear as a “sponsored message’ and the recipient won’t get a push notification. The second sentence is still weird, using Facebook Messenger twice and a version of the word message three times. 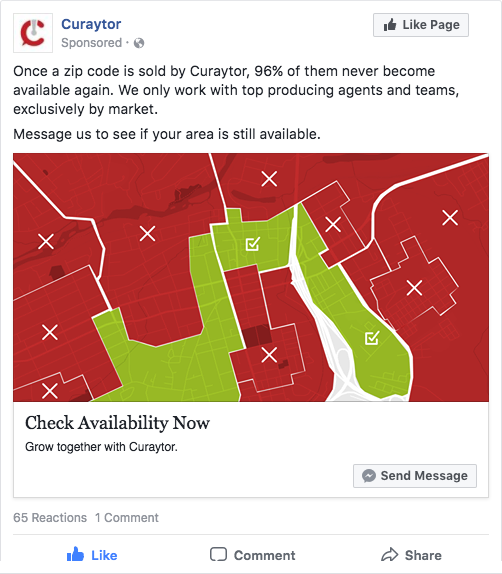 If you’re running ads on Instagram and Facebook simultaneously, you’ve probably noticed the images don’t crossover well. 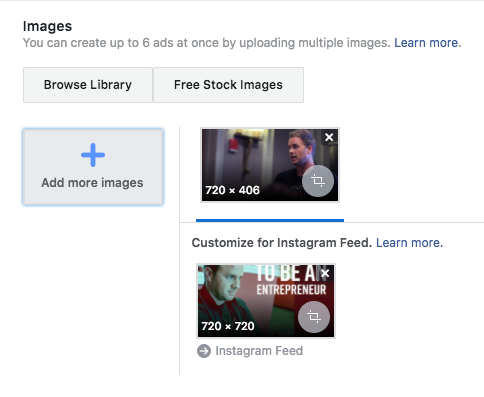 Just a couple weeks ago, Facebook fixed this problem: now you can use Ads Manager to choose specific images to run on Facebook and Instagram, making it easy to optimize images across both channels. 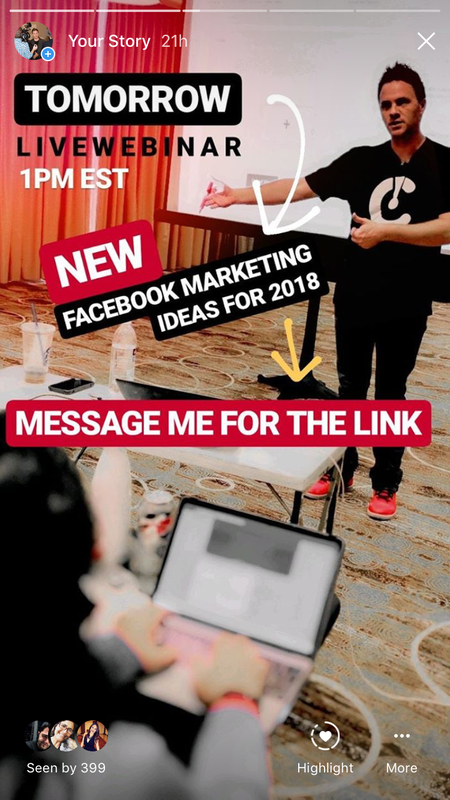 Pro tip: Facebook “Click to Website” Ad images should be 1200x628, Instagram’s are 1080x1080. And don’t forget that people love faces, not brands, so prioritize your face over your logo. One of the first things every professional marketer will tell you is A/B testing is the key to their success. 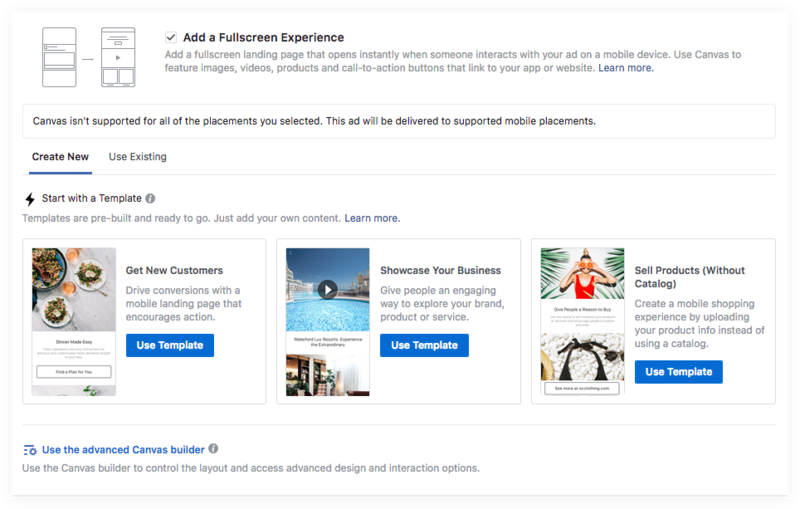 With Facebook’s A/B testing tool built into Ads Manager, it has never been easier to find out which creative angles are best for connecting with your audience. For the industrious, we recommend not just limiting yourself to A/B testing your headlines, but also A/B testing different audiences and campaign objectives. Pro Tip: Make your tests dramatically different. Changing one word or slightly changing the image rarely has a huge impact. You’re looking for big wins, not small ones. Very rarely do you start and finish creating a campaign in the same sitting. 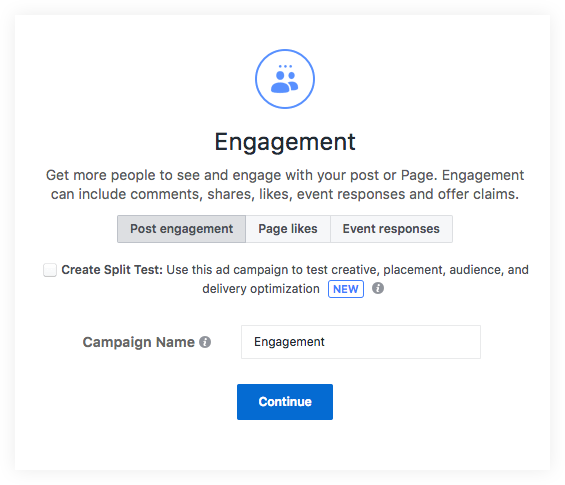 Within Facebook’s underappreciated Creative Hub tool, you have the ability to save your progress as you work - and invite collaborators to help you build even better ads, too. The chat tool from Manychat.com will be your personal assistant while you are away from Facebook. You are able set auto responses, create an interactive menu, and even have the bot respond in the comment section. Just don’t let your bot take over all the conversations - people will still want to talk to a human. If you can’t easily make beautiful custom pages on your site, this is a great option. You can create custom destinations that load up instantly right on Facebook. Just like the OG Analytics panel over at Google, Facebook’s stat-aggregator is crazy complicated. But there are tremendous insights you can gain from it if you approach it tactically and know what you’re looking for. 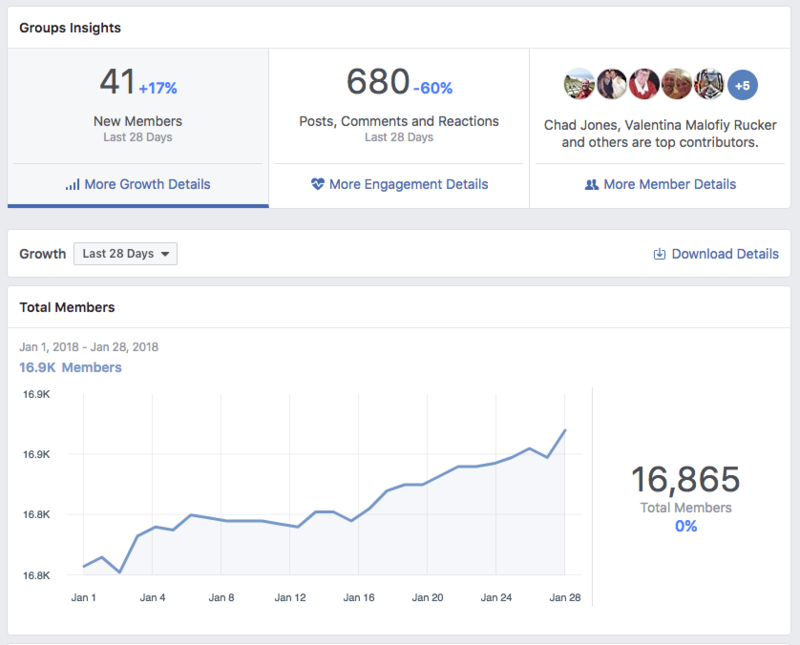 Build your funnel and track people from Facebook to your website and ultimately conversion. Keep an eye on your weekly engaged users - this number should always be growing. Boost your Instagram Post directly in the app. This will keep the reactions (likes, comments, shares) live on your IG feed for all to see.